MAC makeup appointments, whether done at one of their flagship stores or inside of a retailer, such as Dillard’s or ULTA beauty, is available for varying fees with one of the company’s skilled makeup artists, ranging from full makeup services to lessons on applications. How much do MAC makeup appointments cost? According to the official company, the costs of an appointment will greatly depend on the type of service you’re looking for as services can range from complimentary walk-in demos to full 30- to 90-minute sessions, whereas some sessions can be complementary only if you purchase a certain amount of product. From what we did research, however, the company either offered complimentary sessions if you purchased $50 worth of MAC products or in the case of not purchasing any products, then the costs could vary, which we will explain inside of the table below. How did we get these prices? These were the prices we were given when we attempted to book. Use these as an estimate only. 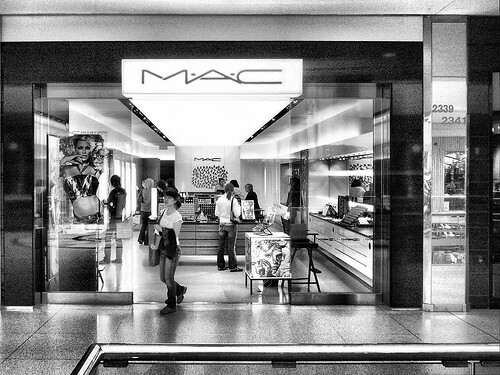 To see prices in your area and to book an appointment, you can do so by visiting maccosmetics.com. According to one member on this WhattoExpect.com forum thread, someone who used to work at a MAC standalone store said you would have to purchase $50 in merchandise in order to receive a complimentary makeover session, but she also mentioned that you if you wanted an artist who doesn’t walk away during your session to call your store or book an appointment online ahead of time. Stylists inside of the store, if you plan on taking advantage of a complimentary session, will first ask you to browse the store to look at products that you may interest in. At this time, they can help you pick out products, explain the benefits, talk about the latest trends and answer any questions you may have about the products. When you are ready to begin the process and complete your payment, then you will usually have your makeup done near the makeup counter out in the open, and unlike the service makeover, the stylist may have to walk away occasionally to help another customer. During this time, the makeup artist will discuss your desires, talk about the current trends and eventually attempt to create a look that you’re envisioning, all while using some of the company’s latest products. During the complimentary makeup sessopm, any existing makeup will be removed, if needed, since a bare face, while not required, is often highly recommended. As the makeup is applied, while doing so, the stylist will explain the techniques they are using, all while answering questions and providing tips while it’s being done so you’re able to perform the same techniques at home. Once completed, the stylist should provide you with a list of all the products that were used and may encourage you to purchase more products aside from the products initially purchased. In comparison to the complimentary sessions, the full-service makeovers, as noted in the table above, can last much longer and will be more defined since the artist focuses on providing the client with a look they requested rather than trying to sell some of the products inside of the store. This session will be done in a private area and you do not have to worry about the sylist walking away at any time as he or she will be dedicated to your session until they finish. While the company does offer service makeovers to walk-in clients, the company often advises you call in ahead of time to schedule an appointment. During this type of makeover, the stylist will first want to know what type of makeover you’re looking for as well as ask about the event you’re planning on attending to help the artist better understand your wants and desires. Based on this information, the stylist will select the products he or she feels will work best for your situation and will then adjust and discuss as the process continues. While it’s not mandatory, the stylist will talk about the products used, offering you the chance to purchase them if interested. The entire process was described in detail at Revelist.com if you wanted to read about it from a personal perspective. As mentioned, it’s highly advisable you book an appointment, even if you think the store will not be busy. As you probably can imagine, the store tends to be the busiest during the weekends, holidays and the prom season. For a complete list of stores, use the official store location tool on the company’s website. One member on Reddit.com highly recommends purchasing $50 of the product since you can get not only the product but the complimentary session as well, which according to her, it was just as good as the service makeover. The biggest difference, however, as we mentioned, is that you will not receive a private session and there’s the chance of the stylist walking away if she needed to help someone else.